Citrus has been cultivated in Sicily since the 9th century, during the Moorish rule. The Mediterranean climate is superb for growing fruit and today Sicilian lemons and blood oranges are widely known as the best in the world. Founded in 1920, Tomarchio is an Italian soda industry leader that uses only the best local, all-natural ingredients in their delicious, garden-fresh tasting sparkling drinks. Tomarchio sodas are not over-processed, never oversweet, have the perfect amount of carbonation and must stand up to the most rigorous standards and quality controls. The Sicilian saying, “It’s not a real lemon unless it’s a Sicilian lemon,” is reflected in each refreshing glass of Tomarchio Lemon Soda. Made with 12% pure, zesty Sicilian lemon juice, Tomarchio Lemon Soda has the prized Italian flavor balance of sweet and tartness with a complementing perfume, and is filled with essential oils found in lemons picked from ancient Sicilian groves. Blood oranges are so called due to their striking ruby colored flesh and juice. The fruit’s red pigment comes from the antioxidant, anthocyanin, which is known for its many health benefits. Sicilian blood oranges are not only famous for their nutritive properties but also for their superb, unmatched flavor. Tomarchio Blood Orange Soda is made with 16% juice from “sanguinello” oranges (a type of blood orange geographically protected by the government) that grow on the volcanic soils of Mount Aetna. Deep red in color, this soda has an intense orange scent and is also a perfect balance of sweet and tart flavor. 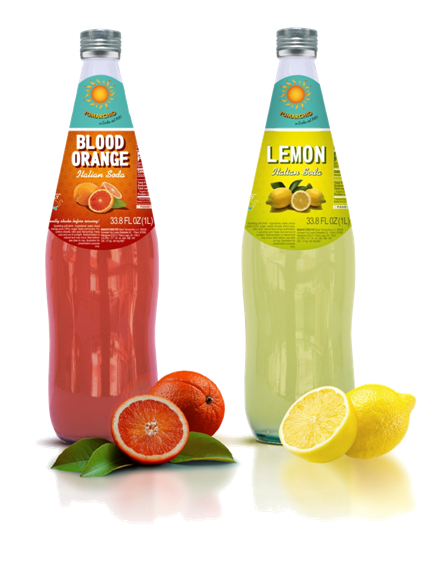 Both Tomarchio Lemon and Blood Orange Sodas have zero artificial coloring, are gluten free and packaged in premium bottles for an attractive appearance. Application: These pure Sicilian sodas are wonderful at any time of day by themselves, with meals or as a cocktail ingredient for a delightful taste of the Mediterranean. The Amarena cherry is a unique delight; small, deep rouge in color and slightly sour in taste. 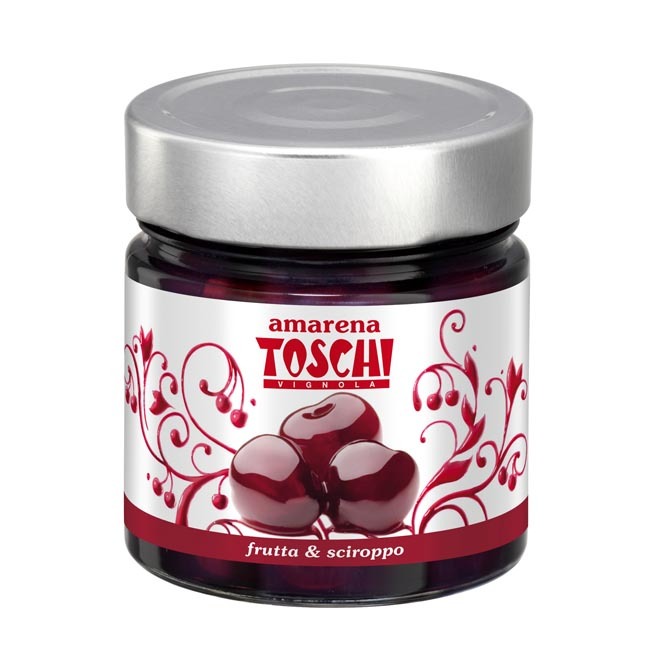 Toschi carefully hand-selects and pits the cherries just as they have been since 1945. Direct from the hills of Vignola, Italy, these intensely flavored, wild, deep-red Italian cherries are carefully chosen and preserved in a beautiful airtight jar containing a rich, traditional, sweet and slightly tart syrup (made from juice of the same firm, tender cherries). Today, just as sixty years ago, these sweet delights have a lusciously intoxicating taste ready to garnish a range of desserts from ice cream, gelato, smoothies and 'semifreddi' (ice-cream cakes) to panna cotta, sponge cake, cannoli and even breakfast pancakes and waffles. Dropping Amarena Cherries in soda, seltzer or Champagne makes a simple yet luxurious refreshment.